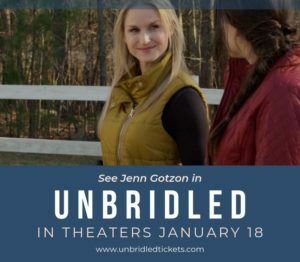 DETROIT, MI (ANS – Jan. 18, 2019) — Jenn Gotzon Chandler continues to be cast as historical or real-life characters in family movies like “Unbridled,” opening in select cities nationwide on Friday, January 18. A girl-and-her-horse-film, “Unbridled” is a festival darling starring Tea McKay, Eric Roberts and T.C. Stallings. 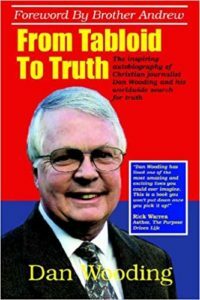 Winning countless awards, this drama is directed by John David Ware and produced by Christy McGlothlin. In “Unbridled,” Jenn Gotzon Chandler plays an equine academy director based on the actual owner, Joy Currey of Corral Riding Academy. The program teaches abused teens how to develop trust, healthy boundaries and confidence by pairing them with horses. In the movie “Unbridled,” the main character (Tea McKay) is neglected by her alcoholic mother (Dey Young), trafficked by her mother’s boyfriend (Oscar-Nominated Eric Roberts), rescued and brought to equine therapy where she is put under the care of the academy director (Gotzon Chandler). McKay is paired with Dreamer, a palomino horse (trained by Harmony Horsemanship’s Lindsey Partridge), who leads her to hope and freedom. Written by Bonne Bartron and Christy McGlothlin, executive produced by Gerald McGlothlin and Troy Buder, “Unbridled” also stars T.C. Stallings (“Courageous,” “War Room”) and Rachel Hendrix (October Baby, Allegiant). For press inquires, contact Lisa M. Trifone, 11th Street Lot Marketing & PR at lisa@11streetlot.com, 317-362-5378.